Terry Alexander and his wife Phyllis live on a small farm near Porum, Oklahoma. They have three children and nine grandchildren. Terry is a member of the Oklahoma Writers Federation, Ozark Writers League, Arkansas Ridge Writers and the Fictioneers. He has been published in various anthologies from Pro Se Productions, Meta Human Press, Airship 27, May December Publications, Hazardous Press, Rainstorm Press and Moonstone Books. She appears, an enigma, a guardian angel in a mask and fedora, her past shrouded in mystery. Where did she come from? What secrets in her past drove her to become a crusader for justice? Who is The Pulptress? The Pulptress, the masked woman of mystery, makes her debut on the New Pulp scene in a collection of stories sure to thrill and amaze you. Leading off with an introduction by The Pulptress' creator, Tommy Hancock, this collection features stories by Terry Alexander, Ron Fortier, Erwin K. Roberts, Andrea Judy, and Tommy Hancock! 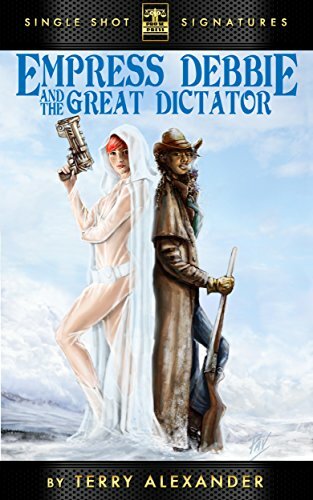 With a fantastic cover by Mitch Foust and beautiful design work by Sean Ali and Ebook formatting by Russ Anderson, this collection is a must have! It's time You met The First Lady of New Pulp! The Pulptress! From Pro Se Productions! To Some He Was Q, America's Secret Weapon... To Others, He was a Millionaire Flyboy... To All Who Practiced Evil, However... He Was Hell From On High! From the Past Flies New Tales of One of Pulp's Forgotten Heroes! Pro Se Productions in conjunction with Altus Press presents the first volume in its PULP OBSCURA line! Bringing Adventures and Heroes Lost in Yesterday Blazing to Life in New Pulp Tales Today! 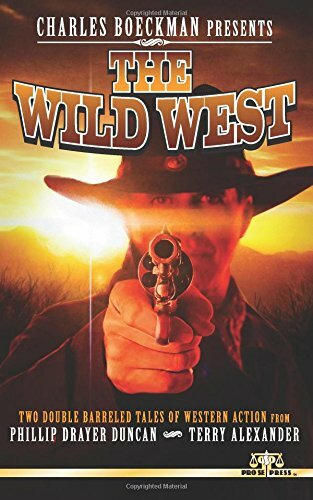 Six high flying, wild and weird adventures from I A Watson, Barry Reese, Frank Schildiner, Joshua Reynolds, Terry Alexander, and Adam Lance Garcia! Fly with this Hero of the Airways as he battles threats to America from the common to the extraordinary! The first New Stories since 1942! 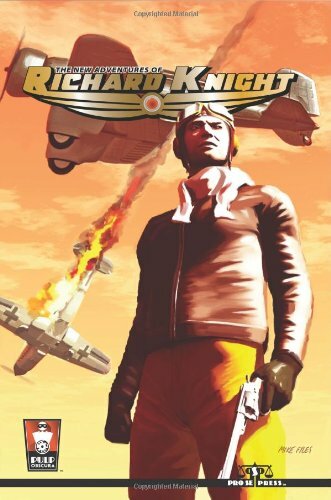 Pulp Obscura Proudly presents THE NEW ADVENTURES OF RICHARD KNIGHT! Pro Se Productions in conjunction with Altus Press Presents The Latest Volume in the PULP OBSCURA Imprint- THE NEW ADVENTURES OF THE GREEN GHOST! An invention of Zorro creator Johnston McCulley, the Green Ghost is secretly Dany Blaney, an honest police officer who was framed by criminals and then disgraced by his fellow officers. 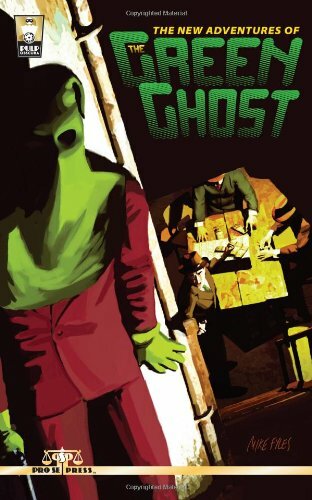 Acquitted by a jury and dismissed by the police, Danny, as the Green Ghost, plays a dangerous game as he confounds cops and criminals in his unique crusade for justice! From out of the past, a Mysterious Masked Manhunter Returns to Wage One Man War Against The Forces of the Underworld as He Evades the Forces of the Law! With a stunning cover by Mike Fyles, THE NEW ADVENTURES OF THE GREEN GHOST features three tales of fast moving mystery and thrills by Bobby Nash, Don Thomas, and Terry Alexander. 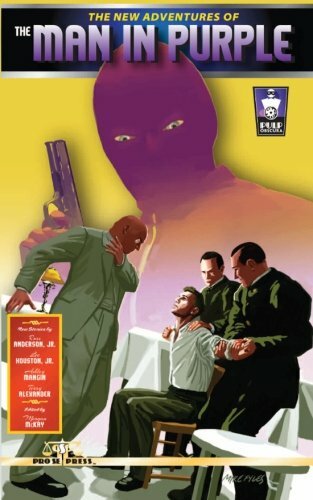 From the Creator of Zorro comes a lost hero of the past- Johnston McCulley's The Man in Purple lives again in THE NEW ADVENTURES OF THE MAN IN PURPLE from Pulp Obscura, a Pro Se Productions imprint in conjunction with Altus Press. The Man in Purple is Richard Staegal, a wealthy man-about-town with a colorful past. Donning a purple mask and suit, Staegal leads a life of outrageous adventure stealing from the rich and ruthless and giving the spoils away to the powerless people who are unable to fight for themselves! From out of the past comes new tales of the Violet Vigilante! 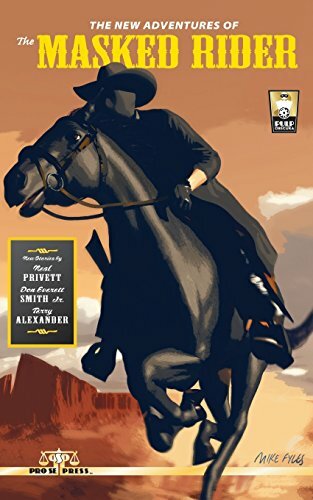 Featuring Exciting new stories of thrilling capers and fast moving adventure from Russ Anderson, Jr., Ashley Mangin, Lee Houston, Jr., and Terry Alexander! Join the Man in Purple as he takes on new adventures with his nemesis, the intrepid Detective Troman hot on his trail! Bar your windows and lock your doors, but if you're his target, nothing will stand in the way of the Man in Purple in his pursuit of Justice and Adventure! Pulp Obscura Presents THE NEW ADVENTURES OF THE MAN IN PURPLE! Author Terry Alexander blends genres wildly together to bring life to a new Pro Se Single Shot Signature Series-EMPRESS DEBBIE!